Sweater fits great and feels comfortable. 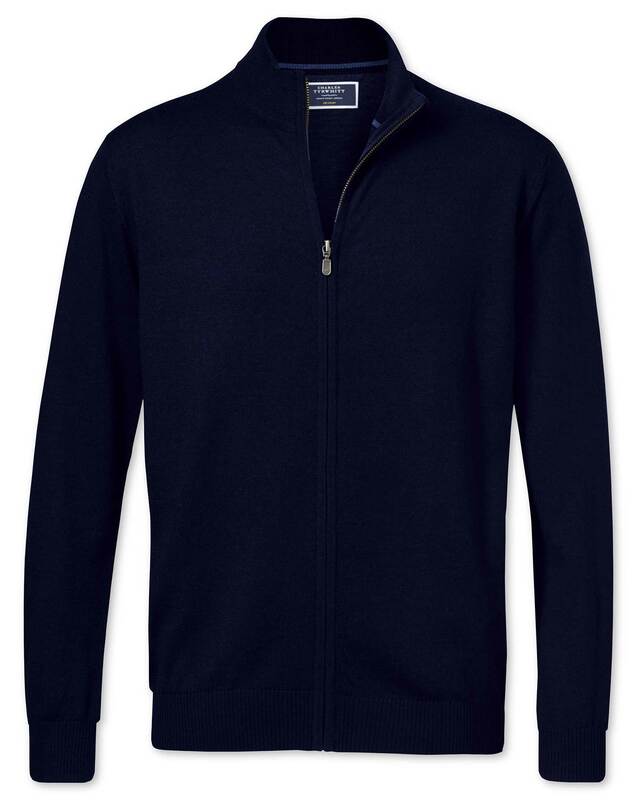 I got the navy and charcoal zip cardigan. It looks nice, but its super thin. Feels like a tissue paper cardigan. I also was afraid the zipper would come apart at the bottom since I had to gently wrestle with it to get it to work. I had this issue with both cardigans. I finally decided to return them after they hung in my closet a few days. Response from Charles Tyrwhitt: I was very sorry to read that this lovely Merino wool cardigan was not quite to your liking. We use high quality and very fine Merino wool in our knitwear, which is from some of the best sheep in Australia and New Zealand. While being a touch thinner than some, I can assure you the quality is excellent - making for a great 'layering' garment. Your concerns regarding the zip are unfortunate but appreciate you raising them with us, and I'll pass these through to the Products Team. Light weight merino wool that holds its shape.